When B Yoga invites you to their first major event, you say yes. I am so happy I did have the chance to attend and practice with new and old faces. The event was a major success, as this warm practice was led by Sarah Leavens, Jonathan and Queenie Phair (Phair Yoga), and David Good. 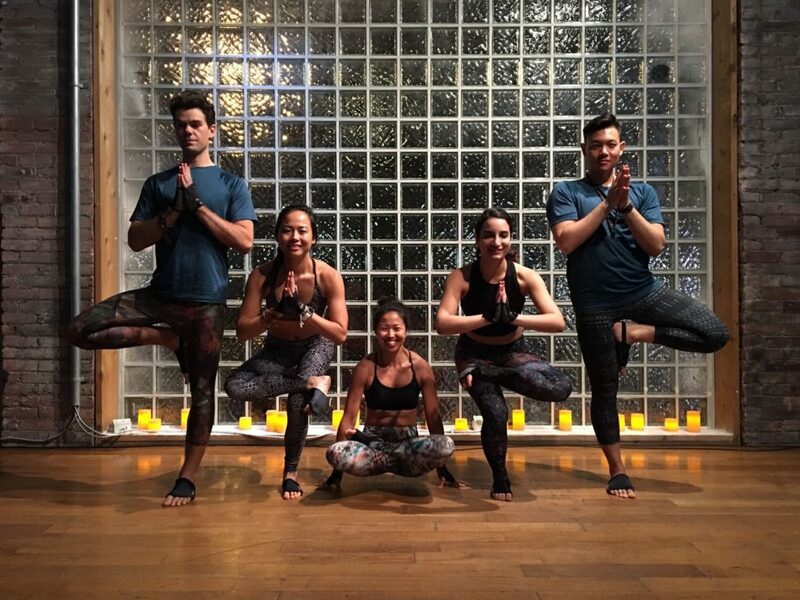 Mostly I was super excited to finally take one of the Phairs yoga classes, it was so much fun – especially when we all linked together for our Warrior flows! 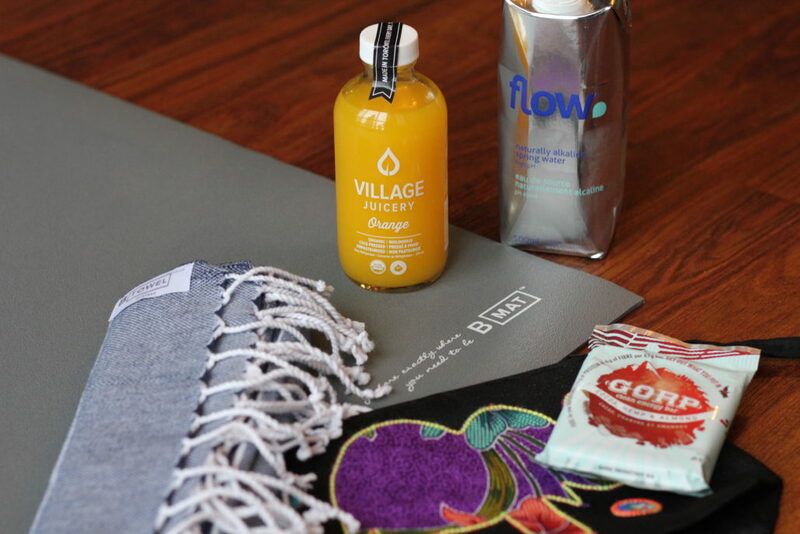 There were so many wonderful vendors including My Inner Fie, Village Juicery, Flow Water, Kupfert and Kim, Gorp Bar, and Province Apothecary – all part of the goodies bag every one received from the event which included an amazing B Yoga towel made from Turkish Cotton! We all received hydrating FLOW water throughout the event and a yummy drink from The Village Juicery at the end of our savasana. The music was unlike any other, the entire practice had music by DJ Carmelinda and the live serenade of local musician Matt Riggs. I must say this had to have been the best playlist I have ever heard during a practice. It just fit so well into the chill atmosphere throughout the Glass factory at 99 Sudbury (this space is gorgeous). 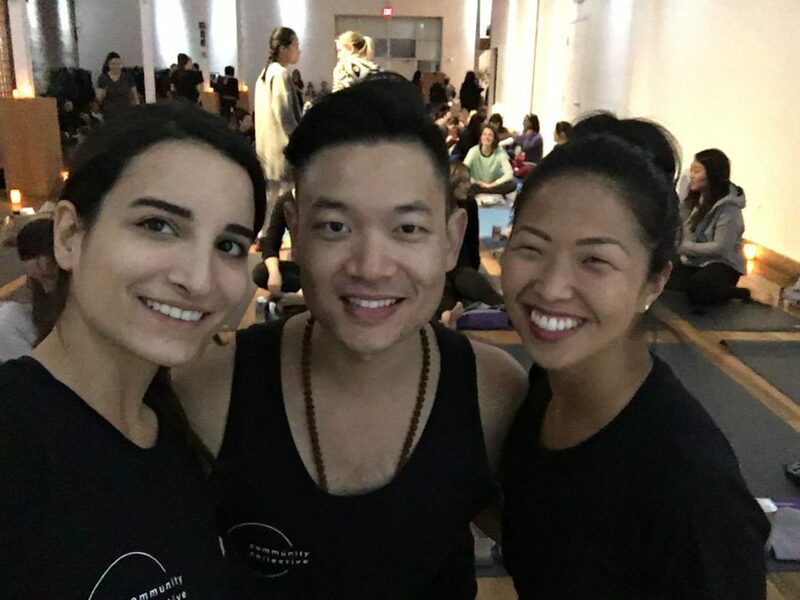 I love how events like this bring a local yoga community together, there were so many familiar faces like Brian @bchanwarrior and Su @schun who I had met from Instagram. We all had a blast and even got to strike a pose together before heading home.